No I won’t. There is nothing wrong with the mind I already have. Among the most supplementary comments to telling someone you do not want to have children is the captioned titled. People automatically assume that a person determined to never have children will just cave in to the societal norm. Some do change their thinking and become parents. Some of the same people become parents through circumstances that most might call “twists of fate”. It happens all the time. The childfree, steadfast in their choice, are the likely to start singing a different song. Most will go out of there way to protect the life they want to live. Daily reminders about why they have made the choice are abundantly noticeable. One never has to leave the comfort of home to discover it! It is as simple as turning on the nightly news. Or reading the vast array of headlines and sub-headlines that make their way to the pages of cyberspace. It exists in social media where many parents will share their good days and bad days with everyone. I’ve commented many times to friends and colleagues who are parents and tell them flatly that I don’t know how they do it. It’s a genuine comment and I mean it with all sincerity. I’ve spent too much time complaining about the lack of time I seem to have for things lately and making a ton of excuses for myself. Something I am working to change. So I could only imagine what a commitment it would be for me to be a parent! It’s just not something that was ever for me. 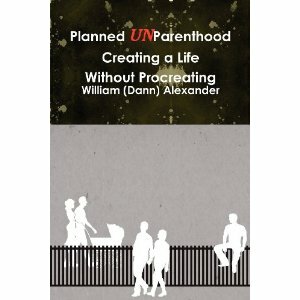 When I started writing “Planned UnParenthood” (available at Amazon sites worldwide) several years ago, the idea was to explain the reasoning behind not wanting children and the many things that lead to the decision. As it came together it accomplished that and more. It became a great discussion for me to lay out a male perspective on the childfree subject. Even with the male point of view being prominent in the writing, I make a point to highlight the importance of how this choice should be more celebrated among women. As I have done more reading of various blog sites and connected with readers I am finding that many more women are feeling greater freedom in celebrating their choices. Biology truly is not destiny anymore. The old expectations are exactly that. Posted in Notes from the Frogpond.Tagged childfree, children, choices, decisions, kids, lifestyle, mind, parents. Next Post Peace in a Place, MacPhersons Mills.